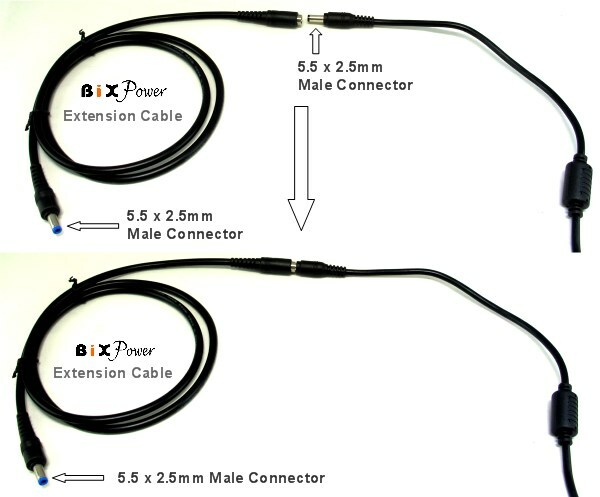 One end of the cable is a 5.5mm x 2.5mm female jack, and the other end is a 5.5mm x 2.5mm male connector. It can be used as an extension cable for a 5.5mm x 2.5mm male connector, adding 3' extra length to it. 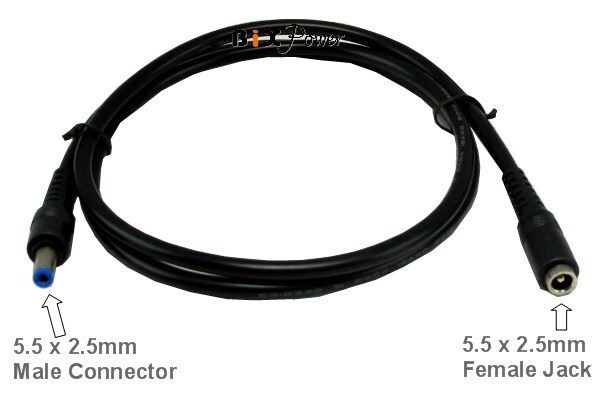 Although the 16AWG wire can handle a maximum up to 20Amps current, the 5.5x2.5mm connector on the cable can only handle a maximum 6A ~ 8A current.